Beginnings are the best. It's the time when your curiosity is aroused and things feel fun, fresh and different. 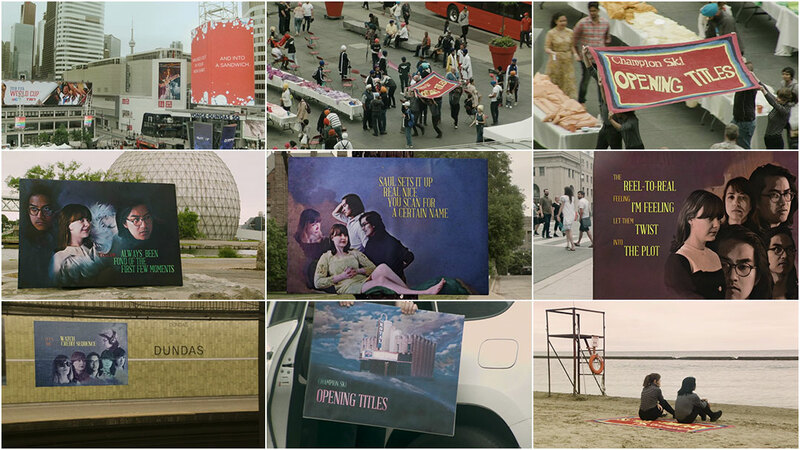 Like the cover of a book or someone’s dating profile, title sequences are designed to be just such a beginning, a winning first impression. They say don’t judge a book by its cover, but isn’t that the whole point? 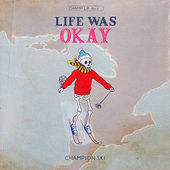 The lyrics of “Opening Titles”, a new song by Toronto band Champion Ski, connect the idea of films and flings. We’re all fond of those first few moments, but fear that disinterest may sooner or later set in. 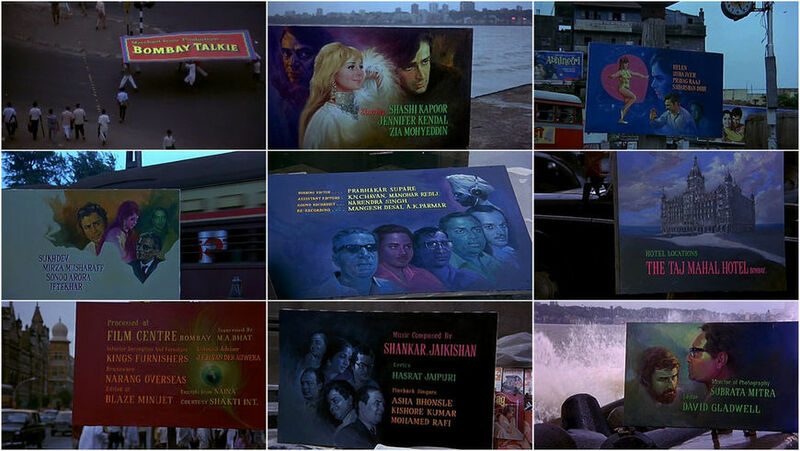 As an ode to beginnings – both on screen and off – the “Opening Titles” music video pays homage to one of the band’s favourites: the title sequence for the 1970 James Ivory film Bombay Talkie – and it’s an impressive impersonation. Songwriters Brian Vendiola and Cosette Schulz discovered the sequence via composer Shankar Jaikishan's "Title Music", which filmmaker Wes Anderson repurposed for The Darjeeling Limited in 2011. To recreate the sequence for the music video they used a combination of subtle digital effects – compliments of the video’s director of photography Jared Raab, an integral part of the camera team behind Nirvanna the Band the Show – and old fashioned arts and crafts. 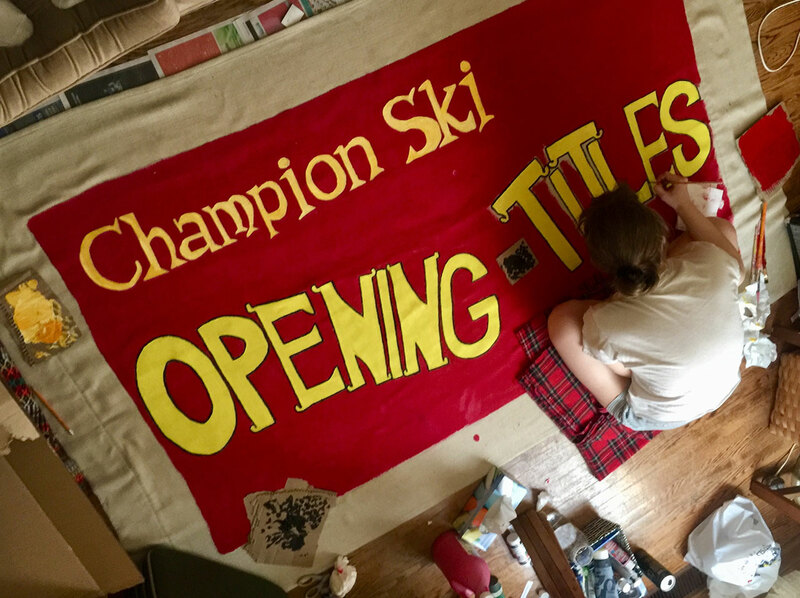 Champion Ski's Cossette Schulz painting the "rug" title card used in the music video. The video’s biggest challenge and happiest accident occurred while capturing the opening shot at Toronto’s busiest intersection: Yonge and Dundas. For the video, the song’s lyrics cleverly stand in for cast and crew credits, creating a lyric video that couldn’t be more different than the lifeless ones that populate YouTube. It’s about what you’d expect from a group of musical cinephiles who got their name from the 2014 Swedish film Force Majeure. Champion Ski are currently in studio working on new music which you can expect later in 2018.